You can upload nearly any type of file as an attachment to your Qrimp app including Word, Excel, PDF, .jpeg, .mp3, .mpeg and other file types. 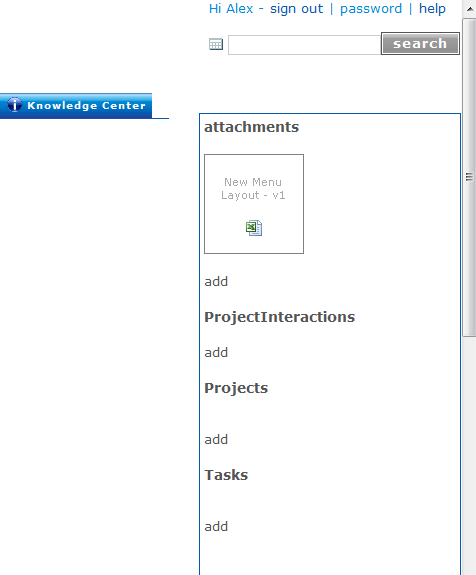 Each attachment is uploaded to a record in one of your tables. If attachments to a record exist, you will see a thumbnail or a link to the attachment in the right hand side of the detail view of the record. Images will be displayed as thumbnails. Other documents show an icon that represents the type of document you have uploaded. You will see thumbnails for up to six documents. To open the attachment, click the link or thumbnail. To change what happens when you open an attachment using Attachment Viewers. To view all of the attachments to all records in a table, click the attachments link above the thumbnails. You will be redirected to the Attachments table. From there you can sort by columns or use the search function to limit the results. To add an attachment, go to the detail view of the record you want to attach the item to. Then click the "add" link below Attachments in the right-hand column. Select your file or files and click the upload button. Once you have uploaded your file(s), they will be attached to the item, and will appear in the right-hand column in the detail view.